For William’s seven month photo shoot I went with a Mickey theme as he has some adorable Mickey clothes and a stuffed Mickey that is a present from his Godparents. Matt warned me before I started the session that putting him on the couch, the usual spot would not work as he was in an active mood. Even though it was a short time before his bedtime, it turns out Matt was right. 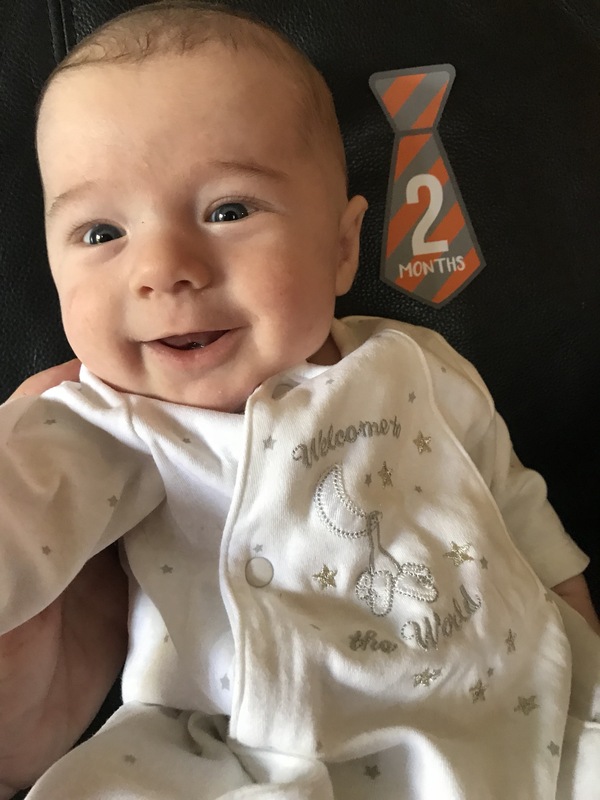 One of my favorite things to blog is William’s monthly photo shoots. As usual he did his own thing throughout, and I had fun capturing some attempts at posing. This month’s theme was toys for night time. The colors of the toys matched the card and his outfit so well. I had originally planned on a second outfit, and decided partway through to keep just the one. The theme for William’s Four Month Photo Shoot was animated characters. 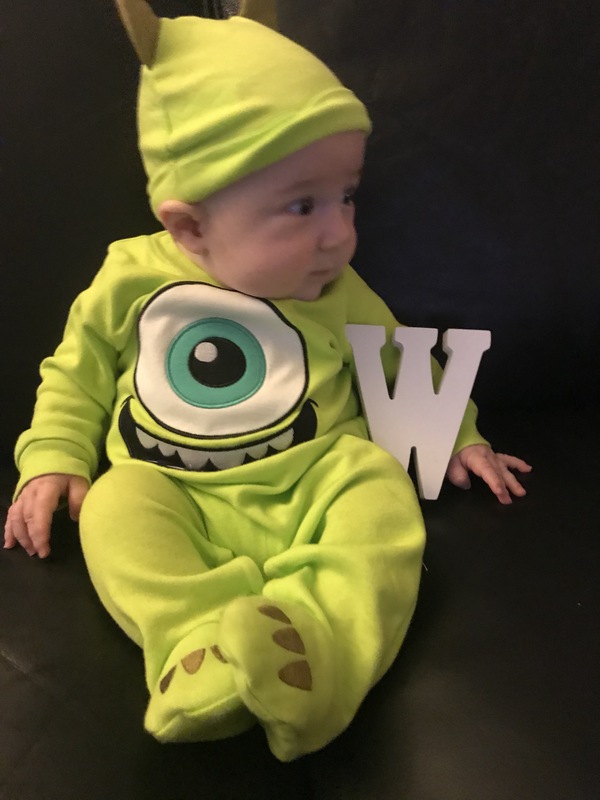 The first outfit I used for him was that of Mike Wazowski of Monsters, Inc. Matt and I found this adorable costume / sleeper just a few days before his shoot, so when I decided to use it for his shoot, it shaped the theme. At first William didn’t want to even look at the camera at all. I had a concept in mind for William’s three month shoot based on some fun outfits he had received as a present from his Godparents on the day they met him. While I did use one of those for this shoot, the set turned out to be a bit big for him. So I adapted my photo shoot ideas and believe this came out even better than I had originally intended. This time this collection only includes one landmark date photo, actually the only one I took of him. 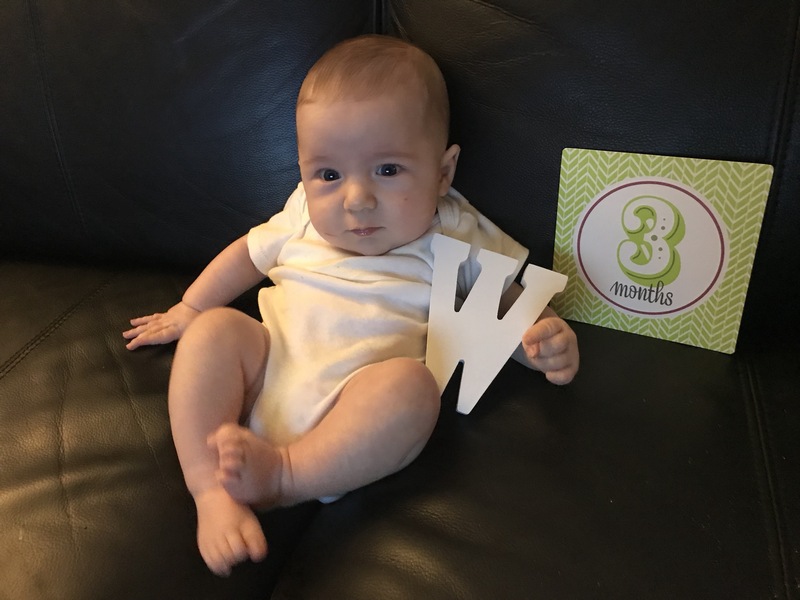 While he’s not smiling in it, it perfectly captures the awareness in his eyes, his happy feet and how the W casually leans and he is inadvertently holding it up.